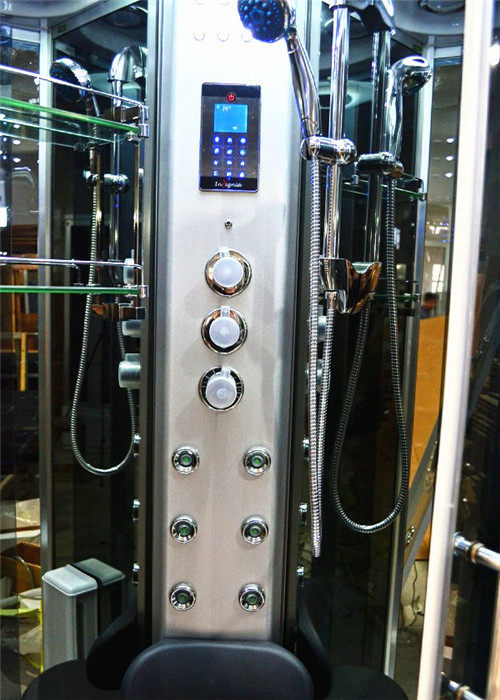 GT-0521 shower cabin is a sector classic computer control steam shower cabin.The material is ABS,aluminum alloy and tempered glass.The size is 950*950*2150mm.The brand is ANLAIKE. we use non-steam touch screen control panel complete with the signature FM radio feature. Internally we have streamlined unnecessary clutter to allow extra room within the cabin. The overhead monsoon rain shower has a perimeter of lights, to illuminate the cabin. The multi-function hand shower comes on an adjustable riser rail so you can change the height to whatever suits you best. 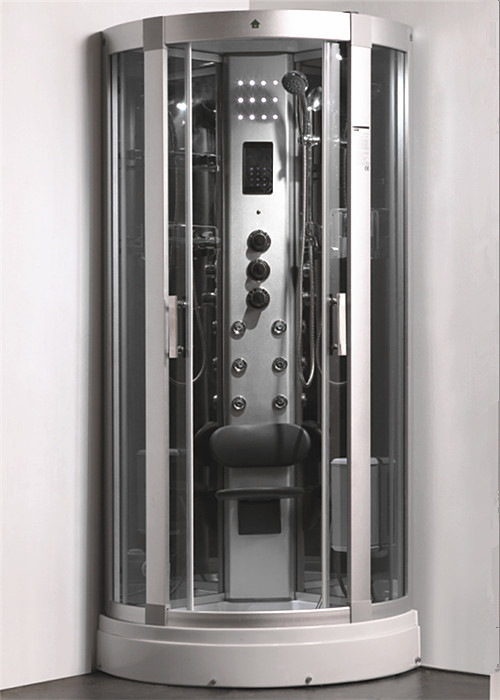 The cluster of 6 hydro-massage jets, which can be found on the column, are situated perfectly above the fold down seat. Now you can relax in comfort whilst taking advantage of the invigorating hydro-massage jets, whilst chilling out listening to a bit of the radio. Our Hydro Shower enclosures are ideal for family bathrooms, as they feature 5mm thick toughened safety glass. ANLAIKE Hydro shower feature cushioned, quiet sliding doors with easy release rollers for quick installation.